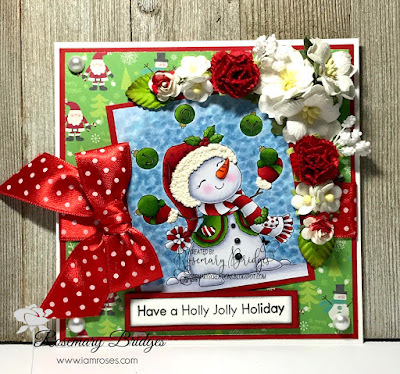 I Am Roses Challenge Blog: Have A Holly Jolly Holiday! Happy Thursday everyone! 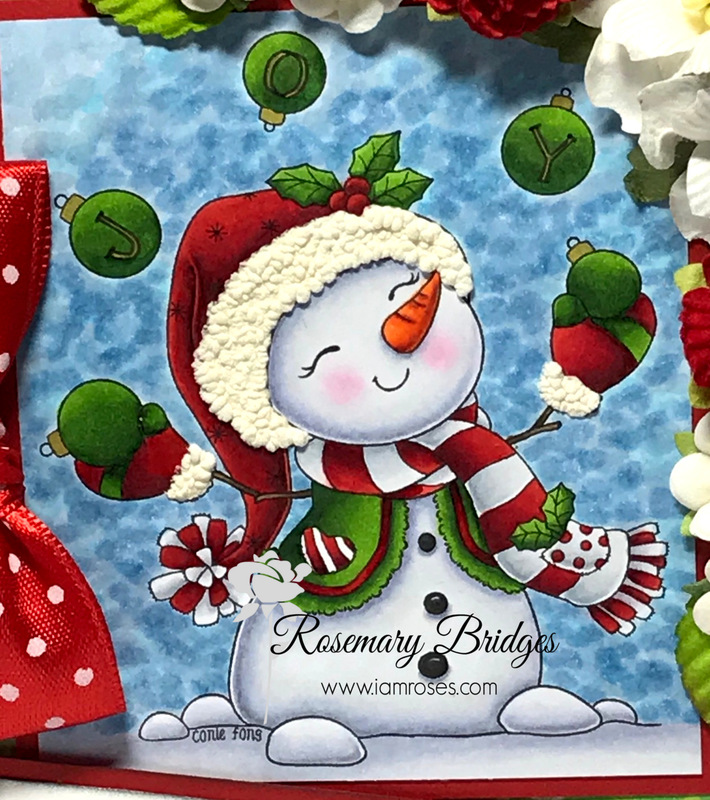 Today, I'm featuring a Christmas card using the beautiful flowers from I Am Roses with Conie Fong's Snowman Juggling Baubles. I think this snowman is so cute and adorable, and of course perfect for those upcoming Christmas cards. And to make it even better, I added I Am Roses Flowers in the corner. I think their flowers always add OOMPH to any card! The flowers I used from I Am Roses came from a Christmas Holiday package. The paper, ribbon and pearls are from my stash. Don't forget you still have until DECEMBER 8th to enter the current I Am Roses Challenge!! You must use at least 2 products from I Am Roses on your entry. The best part is that there are 4 prizes up for grabs!! Don't miss out on your chance to win these stunning paper flowers! Oh my gosh, I LOVE these cards.